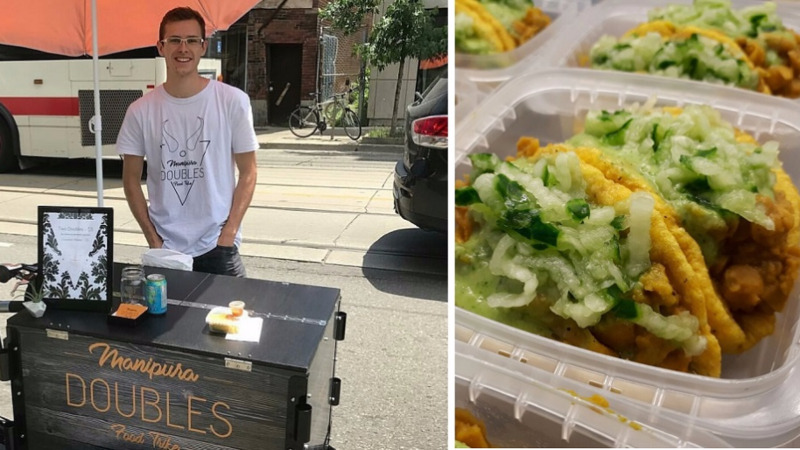 23-year-old Canadian, Lucas Boers, is getting rave reviews after launching his doubles food trike in Toronto. He’s Canadian born and bred and he makes a mean bara. 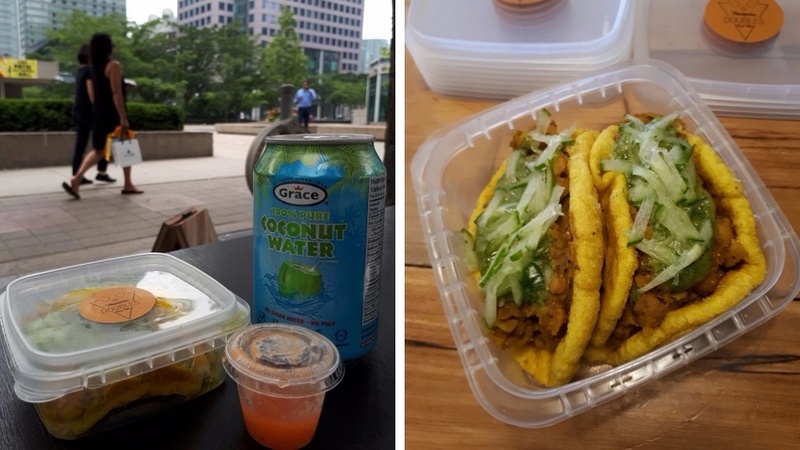 That’s right, 23-year-old Lucas Boers is not of Trinidadian descent and knew nothing about doubles before his visit here earlier this year, but he’s just launched his own doubles food trike in the Toronto area, and it’s been getting rave reviews. Boers, who has had a passion for cuisine from age 13, said he visited Trinidad and Tobago earlier this year and immediately fell in love with the culture and food. Boers was taken around by his Trinidadian friend Sage, who introduced him to the wonder that is doubles. “I fell in love with doubles right away, there were all these amazing chutneys (tamarind, cucumber etc.) and I began looking into how I could make them myself,” he said. He said he began testing out the recipe and using his own techniques to get the right combination of chewy/fluffy bara and deliciously tender curried chickpeas. “I did my research online and then used my own culinary experience from the many restaurants and bakeries I worked in to create my own recipe, mainly to match that texture and flavour of the bara that I had in Trinidad, it’s thin and soft but with a little bit of chewiness to it, it’s just the perfect vessel for the doubles,” he said. He admitted however that he has had help with the pepper sauce (Scotch Bonnet peppers included) from his girlfriend’s mother, who is of West Indian descent. When his unique recipe was ready, Toronto’s Manipura Doubles Food Trike was born in July this year, and Boers said his doubles have consistently sold out ever since. “Things have been going well since I launched, I’ve gotten a really great response and a lot of people are saying that it tastes like the real thing, my girlfriend is my ‘taste-tester’ and she loves them,” he said. He said curiously, he has had a lot of Trinidadians, or people of Trinidadian descent, who initially scoffed at him but after trying it, they were sold. “It’s funny, at first some Trinidadians scoffed at me, they judged me right off the bat, like ‘why is this white man selling doubles’, so I joke around with them and get them to come over and try it, and then when they taste it, they’re sold, they’re like ‘this is really good’." "I like some of the questions I get from Trinis who ask how do I know what doubles are, how did I come across it, and I love telling everyone my story of how I came across it by spending time with my friends, and to show some of my knowledge about the cuisine," he said. He said the majority of his consumer base, however, consists of Canadians as the dish has a special appeal for vegans and vegetarians. “A lot of them never heard of Trinidad and Tobago before, so when they taste it they’re getting to learn more about it. 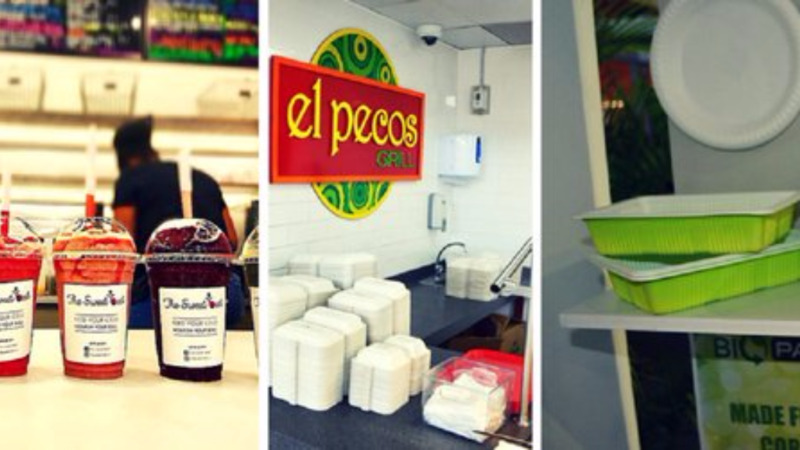 They also like that it’s a vegetarian food; it’s a huge growing trend here in Toronto, vegan and vegetarian options. They’re really popular with the hipster crowd,” he laughed. He serves two doubles per box, complete with the curried chickpeas and cucumber and tamarind sauces, and serves the pepper sauce on the side so customers can have it ‘slight’ or ‘heavy’ to their own liking. The pair of doubles (a double of doubles?) sells for $5 Canadian dollars, which amounts to $2.50 per doubles, which he said is fair considering that he uses hot, freshly made bara and fresh garnishes, and also the fact that he goes to his customers instead of them having to come to him. He usually sets up in Toronto’s West End and the financial district during the lunchtime rush and was out and about for the popular Caribana Festival where he sold out in a very short space of time. “Caribana was a lot of fun, it was a little crazy especially seeing how many people were there for the parade. I went out in the morning and sold out, a lot of people loved it, I had a lot of people with the usual ‘what is a white guy doing selling doubles’ but as soon as they tasted it I got the seal of approval, and they were like ‘good for you, hope to see you around’,” he said. He says environmentally conscious people also love that his food trike is better for the environment than regular food trucks. “What’s great is that the trike allows me to move around, plus it’s better for the environment as I’m not using a lot of propane and gas. A lot of people in Toronto are all about that so my business has been well received because of that,” he said. Boers will continue to operate his food trike until November and is also hoping to open up a brick-and-mortar business and eventually, more food trikes in other locations. "Because a food trike is a seasonal operation I'm working towards a brick-and-mortar, I want to open up a doubles take-out stand where the whole menu is a variety of doubles. 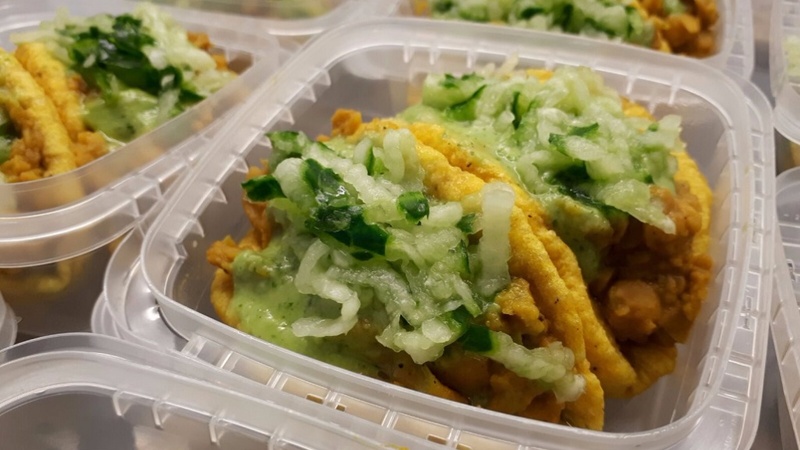 In addition to the traditional doubles there can be a few more items, for example a curry shrimp or a saag paneer (spinach and Indian cheese), and curry mango, all those great flavours." "As soon as that brick and mortar is in a fixed location, I plan to get more food trikes out on the road, I want to build a fleet of them, have three to five trikes around the city and bring that love for Trinidadian food all over the city." Although not Trinidadian by birth, he’s happy to be an ‘honorary Trini’, admitting that he was hooked by the culture and loves sharing what he knows of it with others. 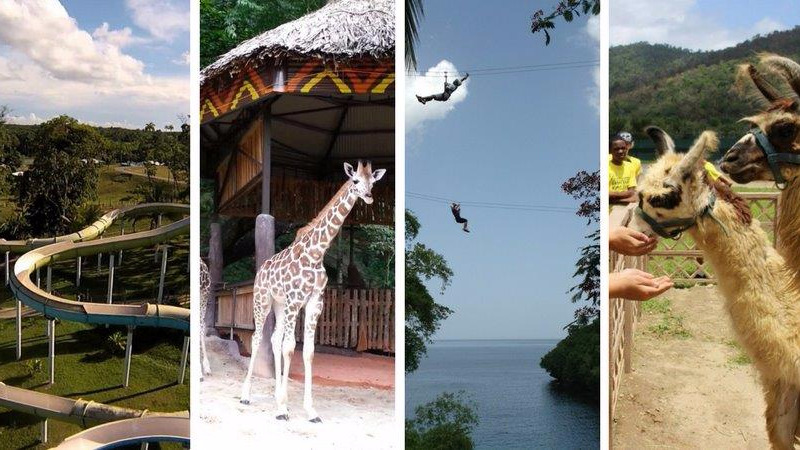 “I can’t wait to get back, I love the heat, I love the water, I love the culture and I can’t wait to see my friend again. Hopefully when I go back I get to learn some more culinary tricks,” he said. He also thanked his Trinidadian friend Sage, who also runs a café in Port of Spain called Sage’s Trapus Bar, who introduced him to the cuisine. Trinis in Toronto who are looking for Boers' doubles can check out his Instagram to see where his food trike will be on any given day at www.instagram.com/doublesfoodtrike or on Facebook at www.facebook.com/DoublesFoodTrike.